Do you remember what your world was like before smartphones? I am so used to having mine with me at all times that it is hard for me to fathom what I ever did without it. And smartphone technology is continuously growing and getting better. I love going into Best Buy and playing with them all. 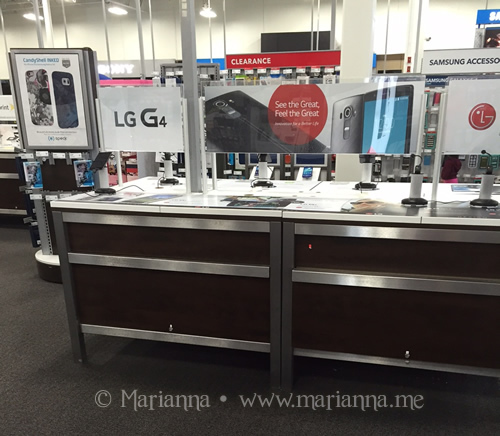 I recently went into my local store to check out the new LG G4 Smartphone. One of the things I enjoy about browsing at Best Buy is the organized displays and ability to get a hands on feel for something. All of the electronics in each section are organized by brand making it easy to find. 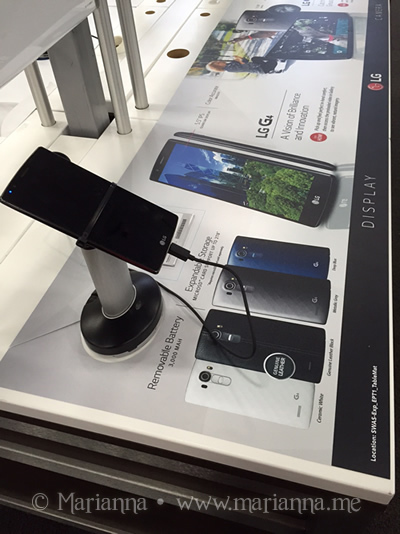 Unfortunately on this particular day, there was only one LG G4 on display and it wasn't working at the time of my visit, so I didn't get a chance to play. In addition to the camera, other points of interest on this new smratphone are the display and design. The LG G4 has a 25% brighter display, Quad HD resolution with 538 PPI and cutting edge 5.5" Quantum Display for a breathtaking visual experience. The gentle curved design lets the phone fit in the palm of your hand comfortably. There are several back covers to choose from including metal, ceramic and genuine leather. I have to admit, having a leather backing to a phone seems pretty cool. 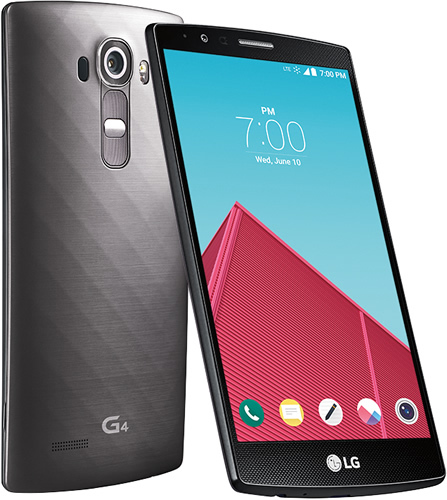 Finally, the LG G4 has upgradable memory up to 2TB with micro SD card and a replaceable high capacity 3,000mAh battery. Head into your local Best Buy store to test out the new LG G4 Smartphone. Purchase one now either in-store or online and receive a $100 Best Buy gift card! Click for more details.